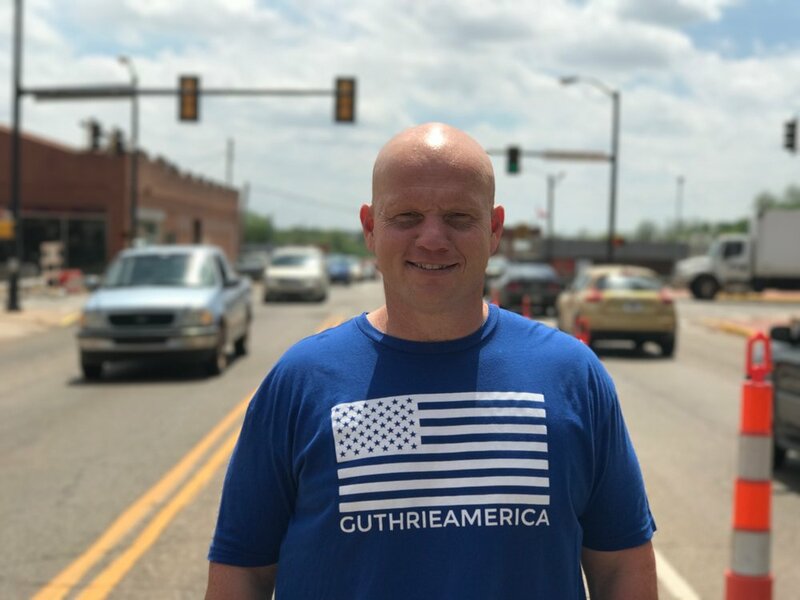 GuthrieAmerica Story: Jason Reece — Go Win with Heady! What’s your favorite Guthrie related memory? My favorite Guthrie memory are nights at the Beacon Drive In. People come from all over just to say they've been. What’s the best part of living in Guthrie? Best part of living in Guthrie is if you go to the supermarket or hardware store you know most individuals by their first name. What does Guthrie have that other towns don’t? You just feel like you belong. I don't think you can get that anywhere else. What year did you graduate from Guthrie High? I graduated GHS in 1995. I own Reece's Appliance Repair. I worked for Bion Acton until June 30th of 2009, and then started my own business. If you didn't know Bion Acton, you missed out. If you grew up in Guthrie and had your first job here… Where? My first job was helping my dad who owns Tom Reece Construction in the summers. That's why I fix appliances today. Thanks Dad. All my close family lives here in Guthrie, one of the reasons I love it so much. How did you first hear or learn about the Guthrie America brand? First heard about GuthrieAmerica from Heady and James Long. What do you think about the GA brand? I think the GA brand is genius. I want people to know that Guthrie is my hometown. I wear it all the time especially when we go to Edmond or OKC, proud of Guthrie. What are you favorite things to do in Guthrie? Favorite things to do in Guthrie are taking family out to eat, going to Cedar Valley and playing golf, and going to the YMCA. If someone asked you why they should move to Guthrie, what would your answer be? Its such a unique town, Red Brick Nights, 89ers, give it a try. I believe anyone can call it home. We know Guthrie is awesome but tell us one thing you would change about it? I wouldn't change a thing about Guthrie. In 39 years of life, I've seen many good times as well as many bad. I spent many years looking out my rear view mirror and when I wasn't looking in that mirror, I was looking through the windshield. I now try to focus in on what's in the car and not worry about what's in the past or what's in store for tomorrow. Long term goal for me is to be the best I can until midnight and do it again the next day. Good things happen if you live in the moment. Christ can/will change your life! I have the most amazing wife and children. God is good and we are blessed!